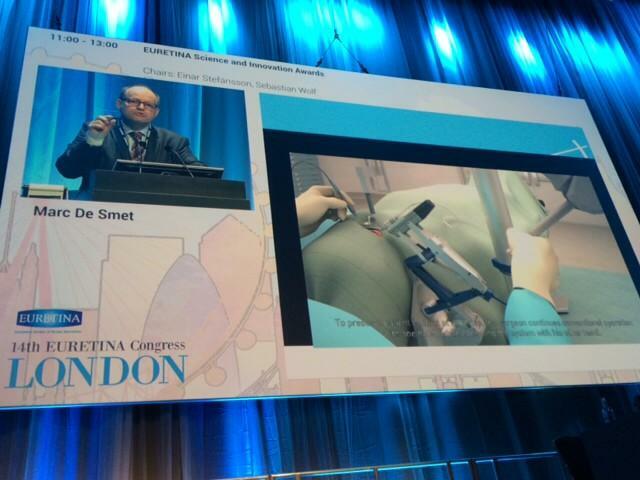 Eindhoven University of Technology spinoff company PRECEYES has been awarded the EURETINA Science and Medicine Innovation Award 2014 for their high-precision surgery assistant. The award is an important endorsement by the European Society of Retina Specialists, supporting PRECEYES in their search to funding for productization of their technology. PRECEYES develops a high-precision assistant to support eye surgeons, see also here more information (in Dutch). By improving their precision 10 to 20 times and by automating tasks, PRECEYES enables surgeons to both improve the reproducibility and speed of existing procedures and to develop treatments for diseases that have no adequate treatment today. PRECEYES has a prototype system that has successfully been validated by multiple highly-experienced surgeons. The next steps are to productize the existing prototype system and to perform clinical studies for which PRECEYES currently seeks financing. The EURETINA Science and Medicine Innovation Award is presented annually by the European Society of Retina Specialists. With the award, the specialists support and encourage innovation in the field of retinal science and medicine for the ultimate benefit of patients with retinal disorders. 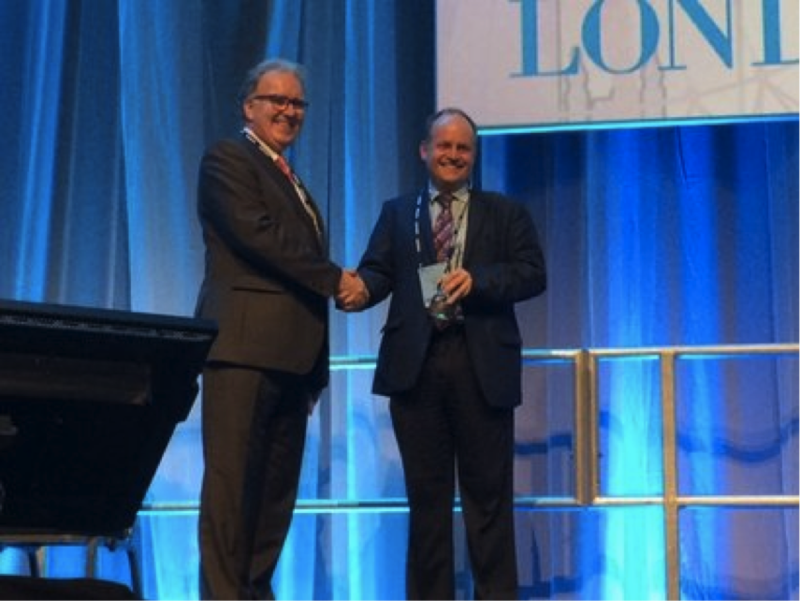 PRECEYES’ chief medical officer Prof. Marc de Smet MD received the award at the 14th EURETINA Congress in London last weekend, presenting the high-precision assistant developed by PRECEYES. Besides the clinical benefits, direct implementation in the current workflow of the surgeons as well as the possibilities for future application of the technology targeting office-based surgery, were considered strong points in the proposition of PRECEYES. In addition to a financial prize, the Innovation Award is an important endorsement by the European Society of Retina Specialists, recognizing the need for the developments of PRECEYES. In the search of an investment for product development, the award confirms PRECEYES’ investment opportunity.